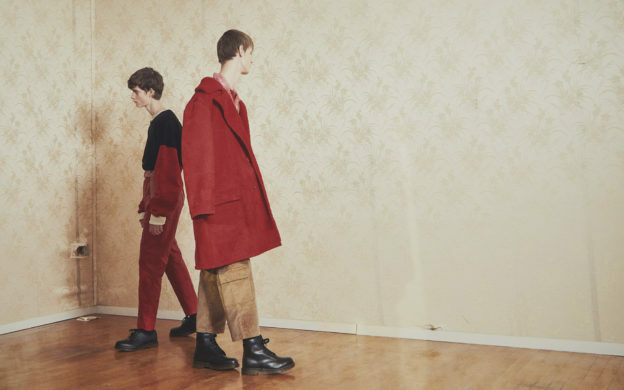 As the largest Scandinavian fashion festival, Copenhagen Fashion Week is an exciting few days of runway shows and events. 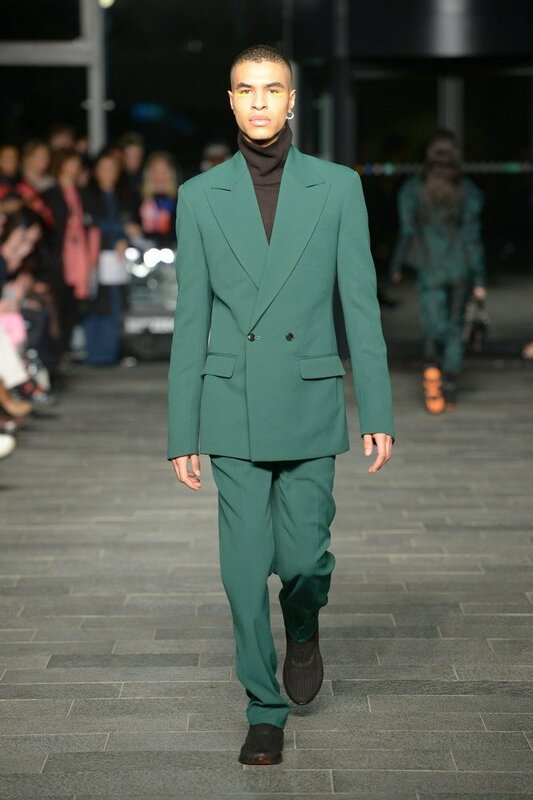 This winter season featured well-known brands in addition to newcomers who showed for the first time. 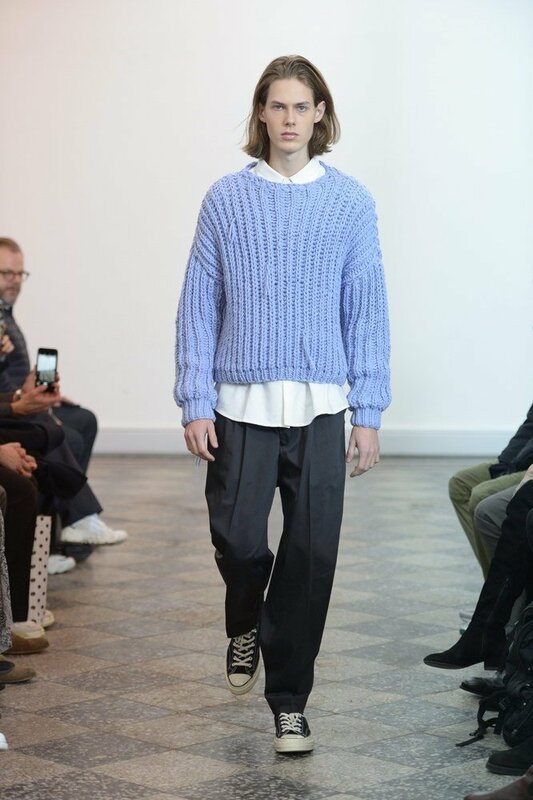 Outside, Copenhagen Fashion Week called for layering skills to combat the Scandinavian cold. 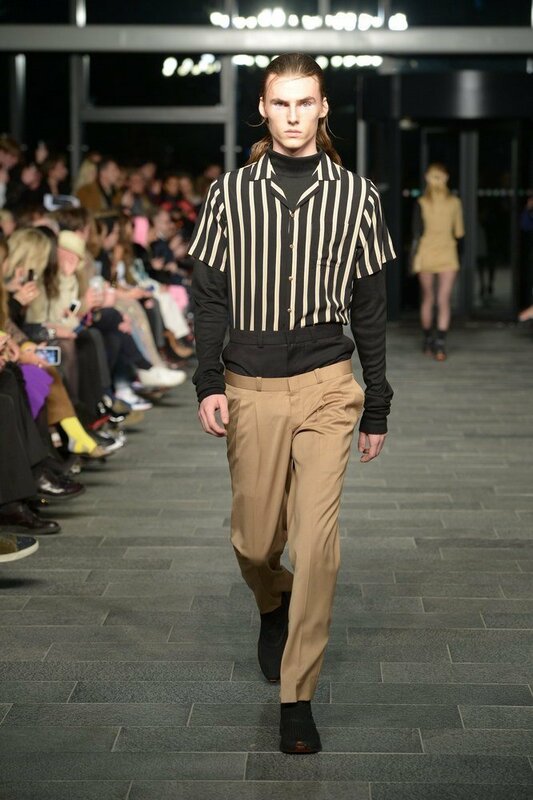 Inside venues across the city, established and emerging designers gave a glimpse of what we’ll all be wearing soon. 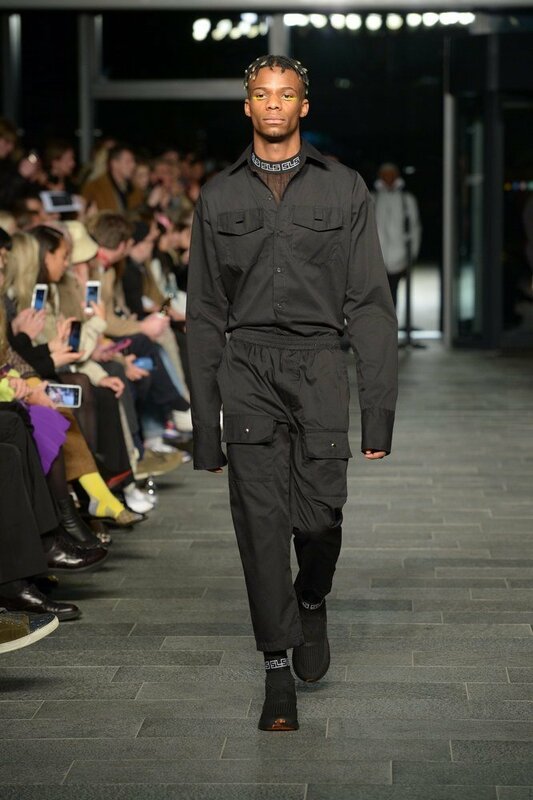 Utilitarian details and streamlined aesthetics were recurring themes from menswear this season, as well as 1970s and 80s detailing, workwear, and sportswear. 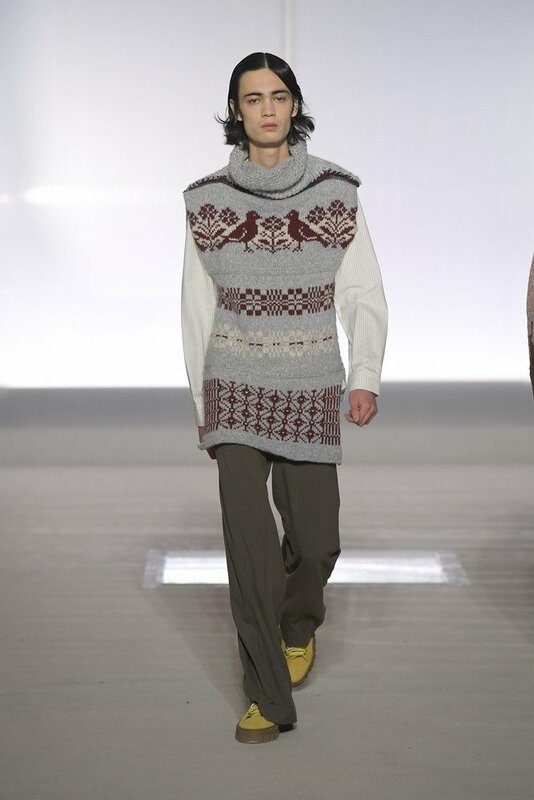 Danish designer Martin Asbjørn invited us into a Wes Andersonesque dream of pastels and neutrals. It was The Royal Tenenbaums on a road trip in 19070s California. 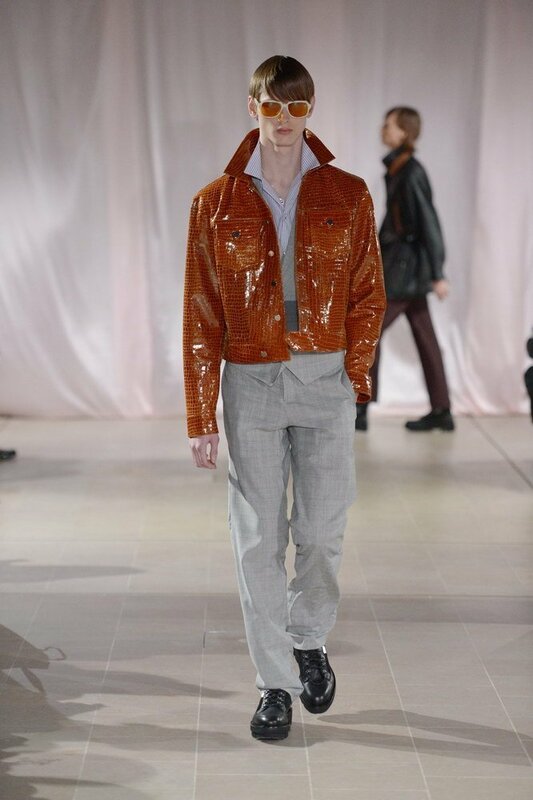 The brand showed casual suiting, a soft color palette, and materials ranging from wool over corduroy to leather. 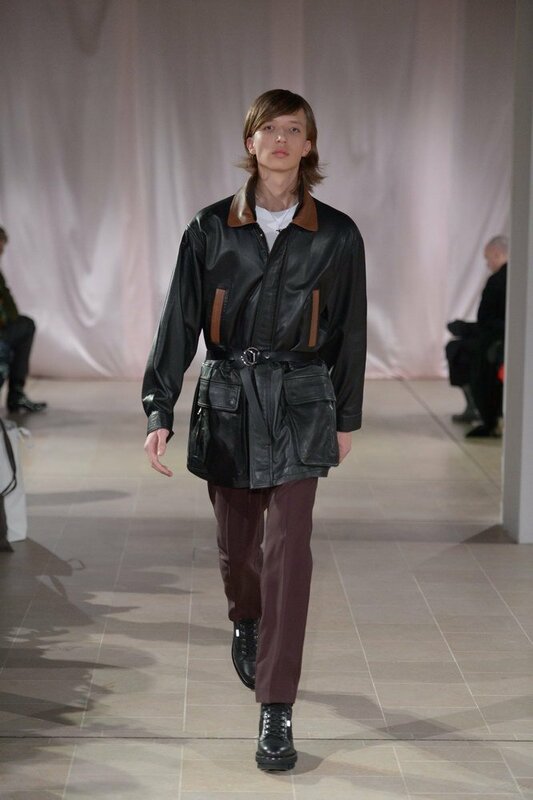 In contrast to this dreaminess, we were treated to a few absolute bangers like the fake fur coat or the glossy brown croc leather jacket, resulting in a collection of understated elegance with a pinch of cool luxury. 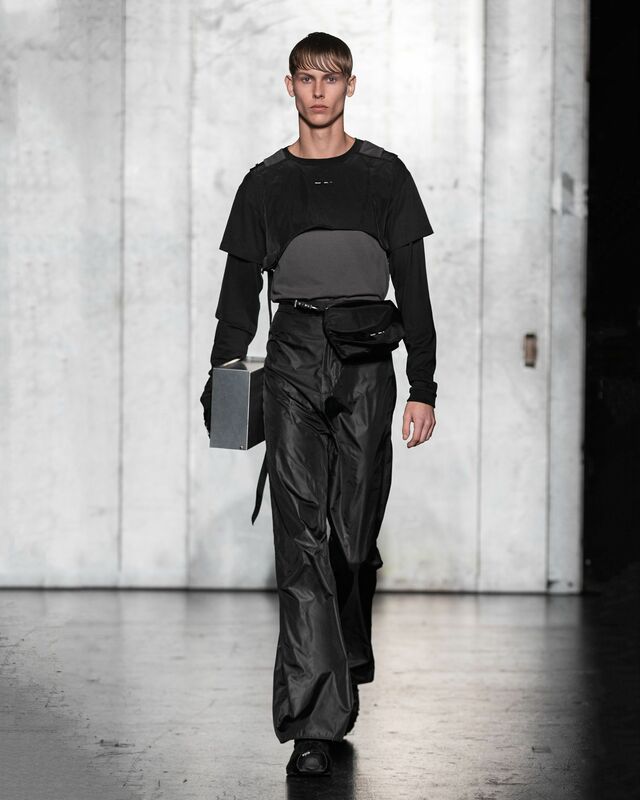 In a show that started in absolute darknes with pounding music, Copenhagen-based Heliot Emil presented utilitarian aesthetics in an atmosphere reminiscent of Berlin club culture. 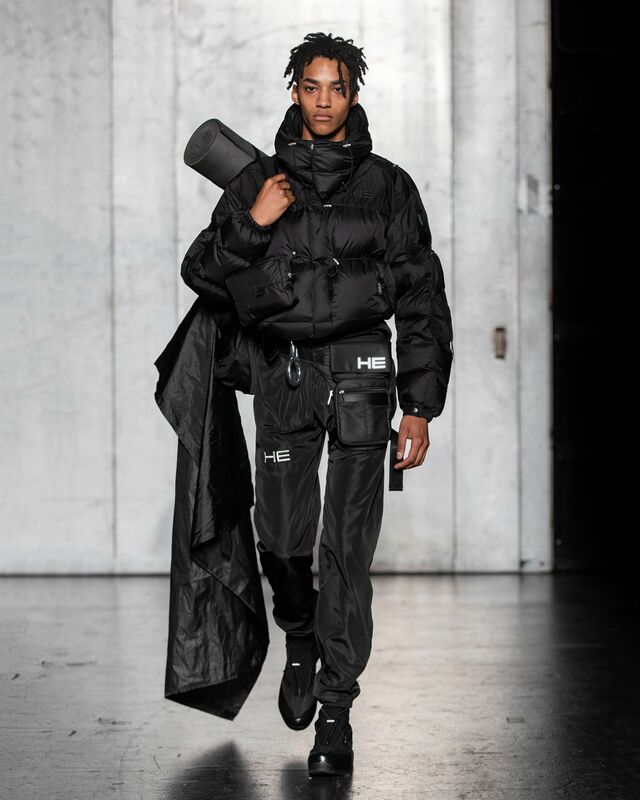 The collection was a crossover of futuristic hiking apparel and techno rave wear best represented by accessories like rolled-up sleeping mats and metal box bags. 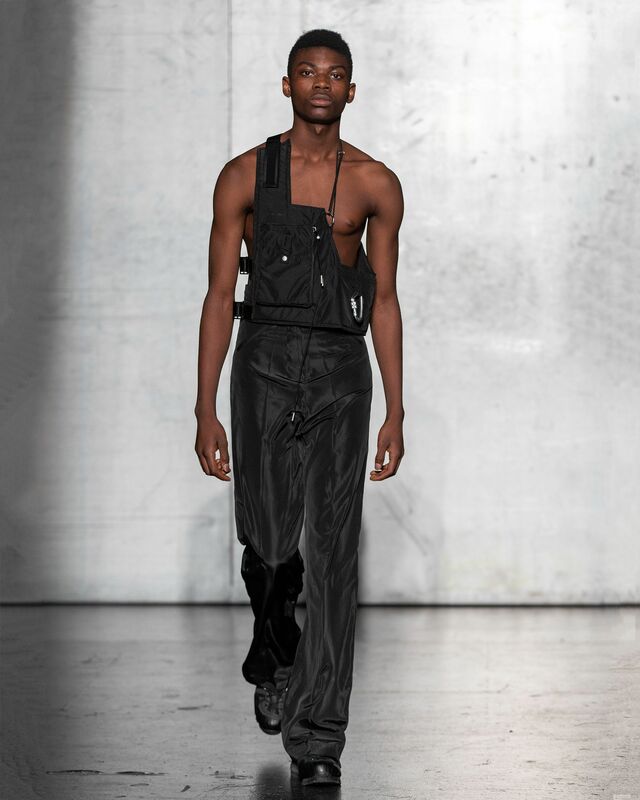 Carabiners and extra straps supported the utilitarian theme. 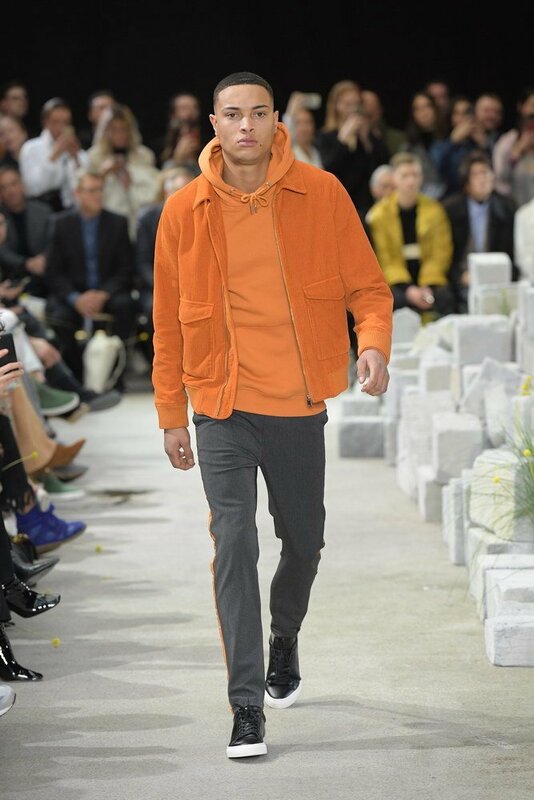 Les Deux is all about blending prep with athleisure, and the autumn/winter collection 2019 showed exactly that. 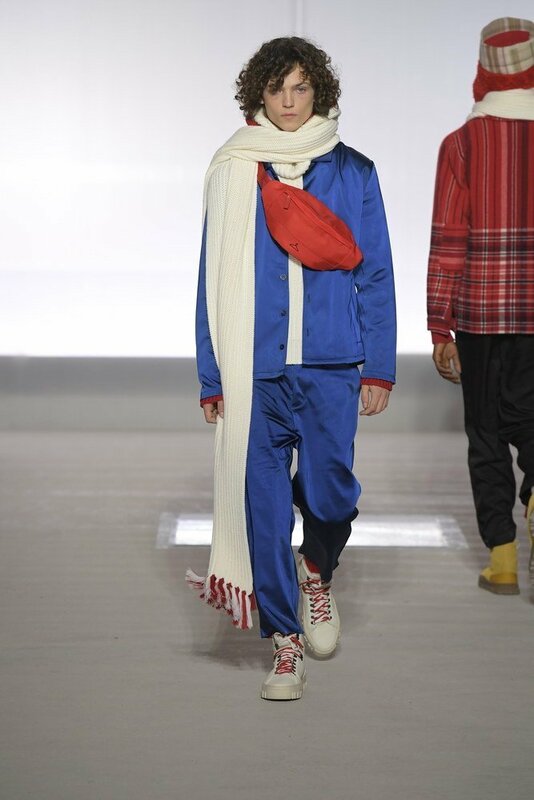 Classical menswear items like coats and blazers went hand-in-hand with hoodies and over-shirts. 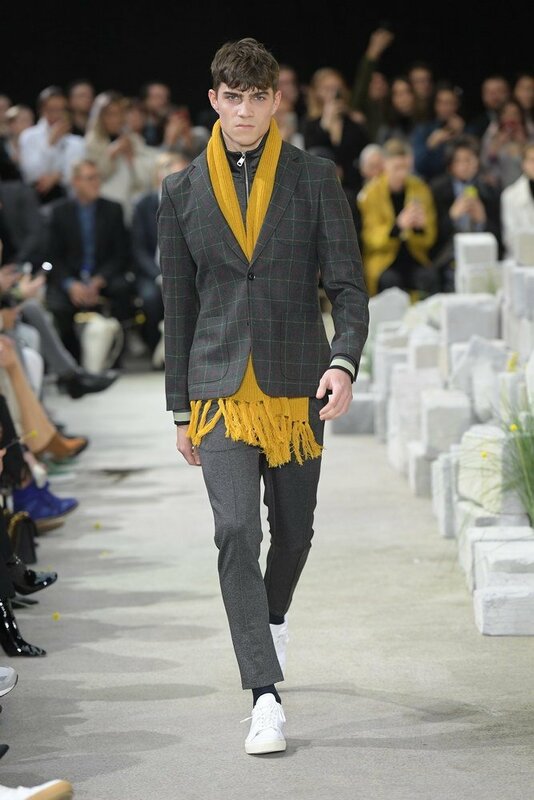 Neutral colors were combined with pops of orange and yellow, and checked patterns were dominant. 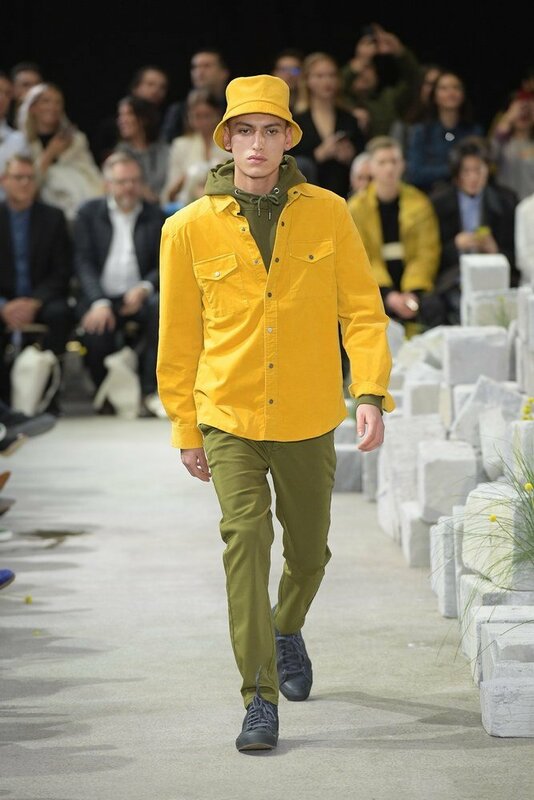 Mfpen hosted a beautiful show at Copenhagen Fashion Week. 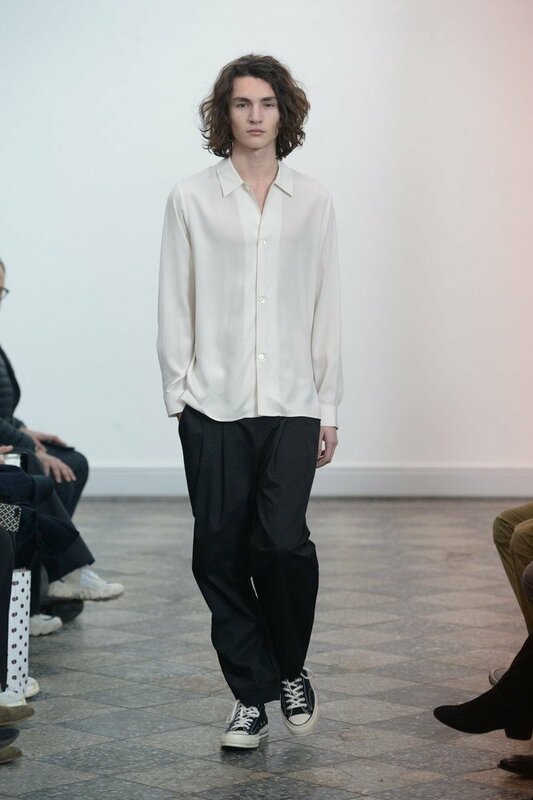 In line with the theme “Morgenluft” (Morning Breeze), the brand showcased breezy effortless style. 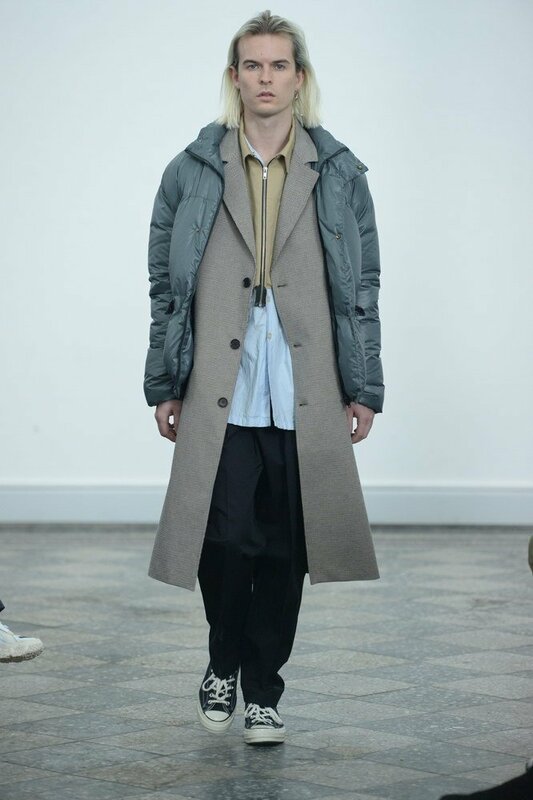 Casual tailoring in floating silhouettes and a neutral color palette was combined with a few functional pieces like the gilet. 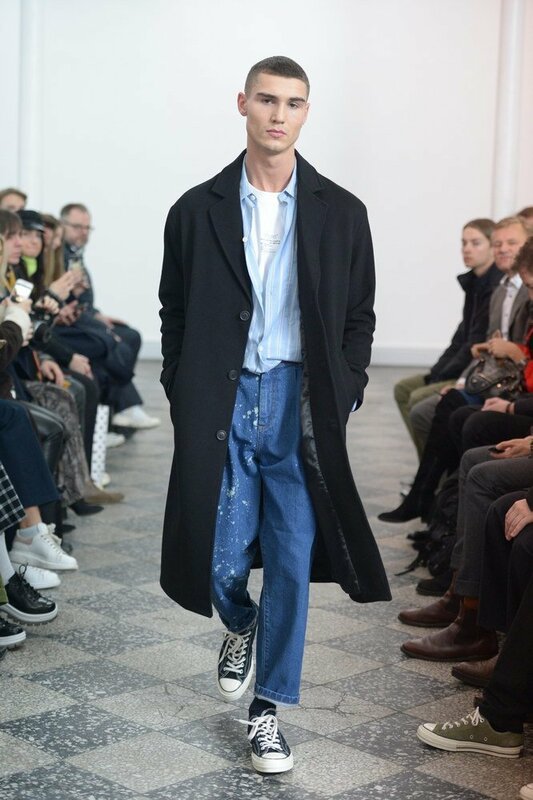 The collection also featured one of the coolest denim pieces of the week: a pair of oversized cropped pants. 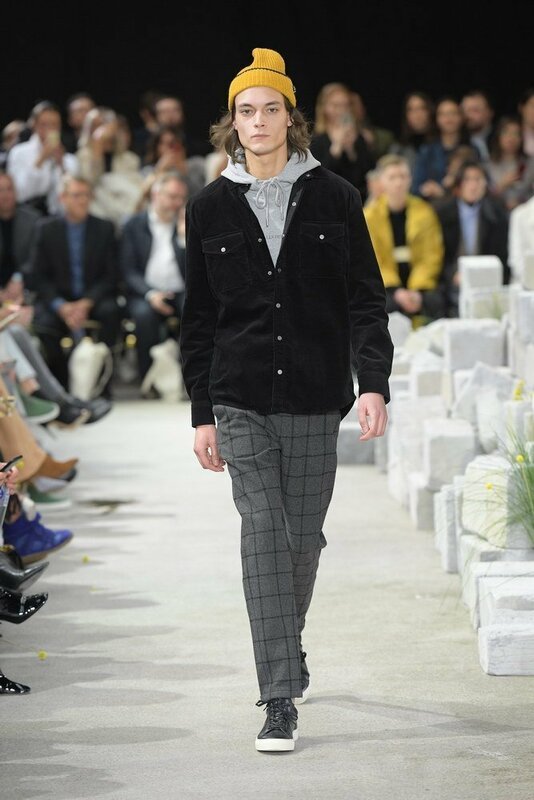 Søren Le Schmidt, for the first time on the official schedule, mixed tailoring, couture, and street style in a collection that was a bit darker and more brooding than the typical show this season. 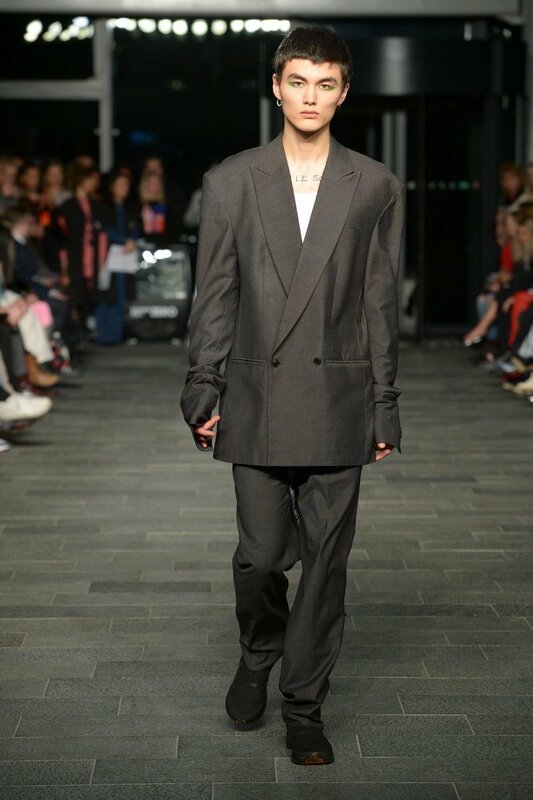 If you have ever wondered what to wear for a night out in a speakeasy, the amazing double breasted suits have you covered. 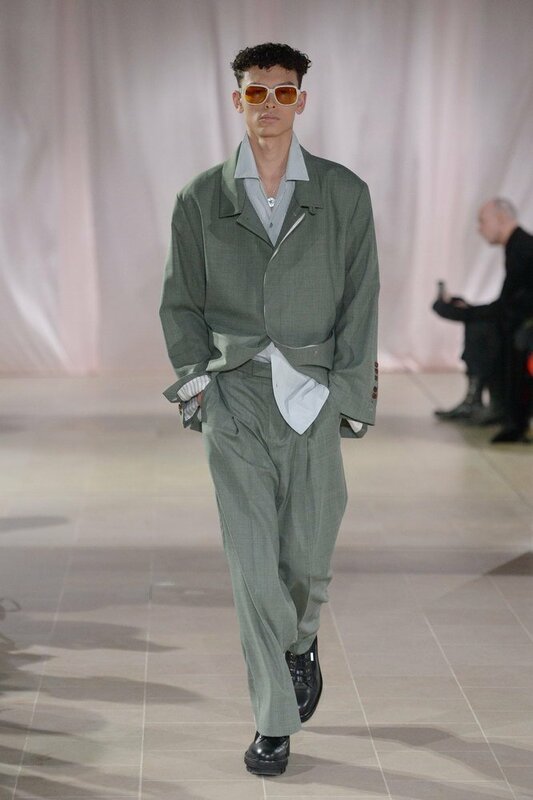 The workwear inspired boiler suit is likely to become another favorite. 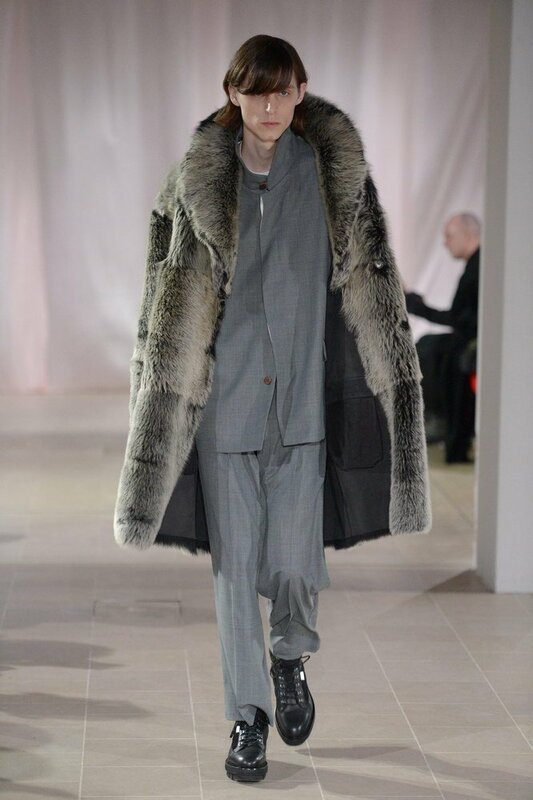 Norwegian fashion house Holzweiler showed essential Nordic pieces such as statement knitwear and suits in loose cuts. 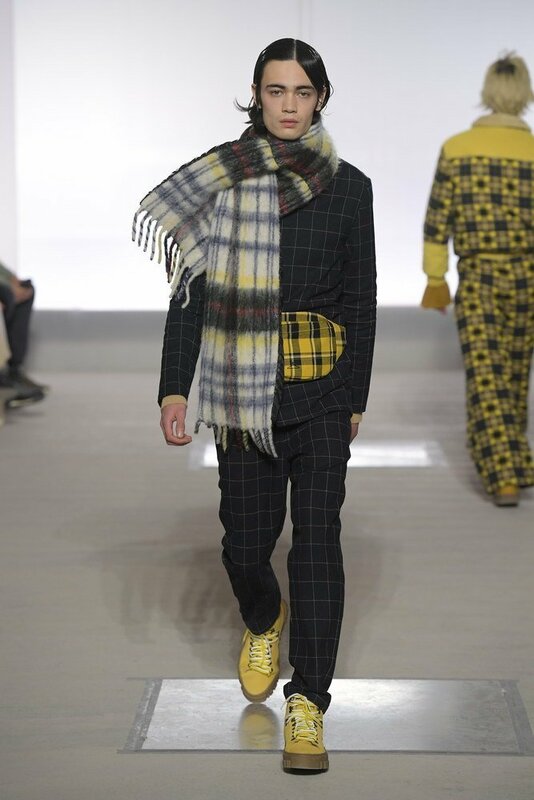 Their oversized scarves around the models’ necks paid tribute to Holzweiler’s beginnings as a scarf brand and accentuated the cosy, winter-ready vibe of the collection. See the best street style from this season! 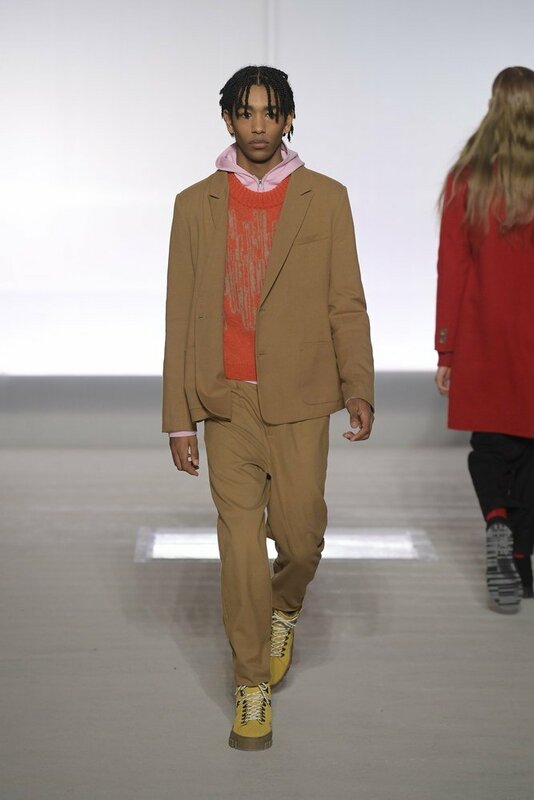 February 9, 2019 by Kay Litzinger. 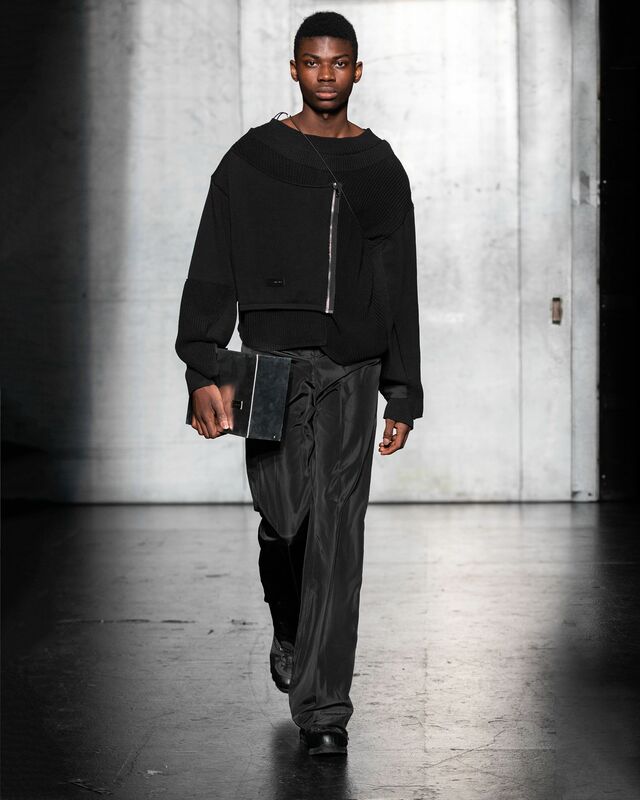 Kay grew up in Germany and, after a stint in Sweden, came to Copenhagen for his studies. He loves to explore new cities, one cup of coffee or glass of wine at a time. Get a sneak peek at @kayltr.